A mother faces her greatest fear. Zoe Duncan’s thirteen-year-old daughter goes missing from her own backyard while she's home sick from school. The police suspect Samantha’s a runaway—she’s not happy about her mother’s upcoming marriage—but Zoe knows Sam would never do that. Terrified of losing the person she loves most, Zoe is willing to do anything to bring Sam home, even if it means giving up her job, her nice home and her relationship with the man she thought she wanted…. A detective faces his hardest case. The author's website also has an excerpt. 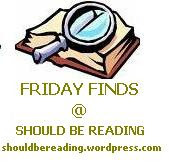 Amy at Addicted to Books had such a glowing review I had to tell you about it. This is available directly from Penquin.com in hardback, adobe and ereader. 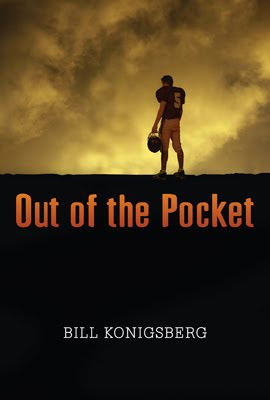 Out of the Pocket seems interesting! The Weight of Silence is on my TBR list. It looks great. Out of the Pocket sounds like a good TV show idea. 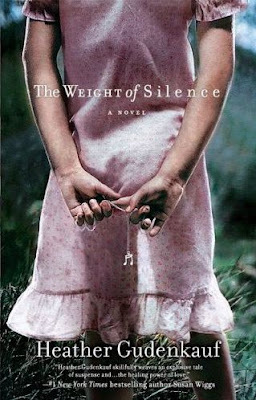 The Weight of Silence is in my TBR pile..I really should get around to reading it!